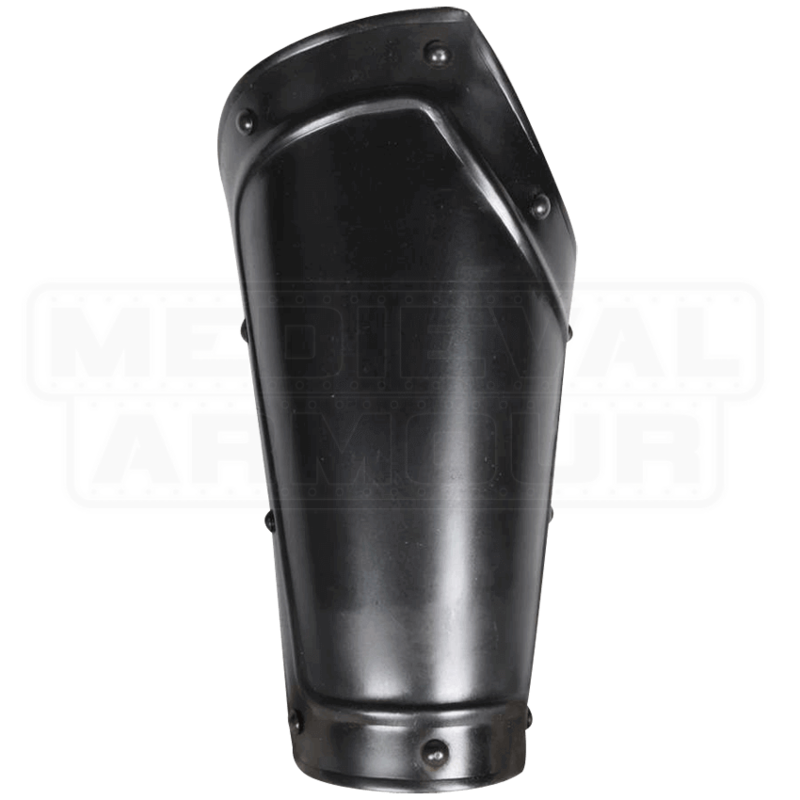 Made of blackened, 18 gauge steel, these bracers are perfect for warriors who want to look good on the battlefield while retaining full range of arm mobility. Classic rivets and ridges adorn the corners of this eye-catching set of two while the asymmetrical design assists in movement. 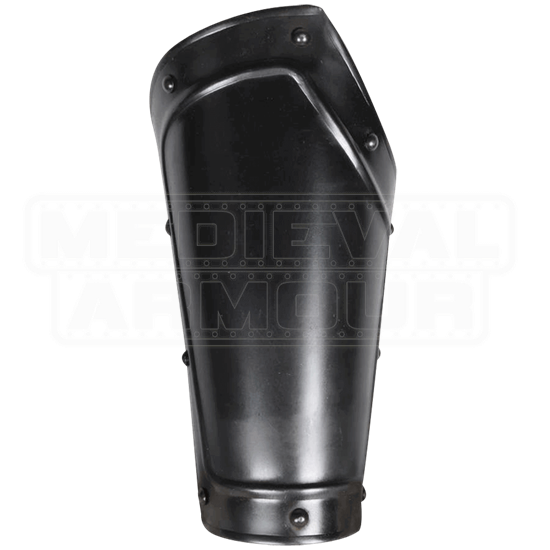 The bracers are fastened in the back with two leather straps and metal buckles and are great for completing any set of medieval armour for LARP or historical reenactment.